This novel taps into what Stephen King does best: character-driven storytelling. The setting is the small "death house" of a Southern prison in 1932. The charming narrator is an old man looking back on the events, decades later. Maybe it's a little too cute, maybe the pathos is laid on a little thick, but it's hard to resist the colorful personalities and simple wonders of this supernatural tale. As Time magazine put it, "Like the best popular art, The Green Mile has the courage of its cornier convictions ... the palpable sense of King's sheer, unwavering belief in his tale is what makes the novel work as well as it finally does." And it's not a bad choice for giving to someone who doesn't understand the appeal of Stephen King, because the one scene that is out-and-out gruesome can be easily skipped by the squeamish. 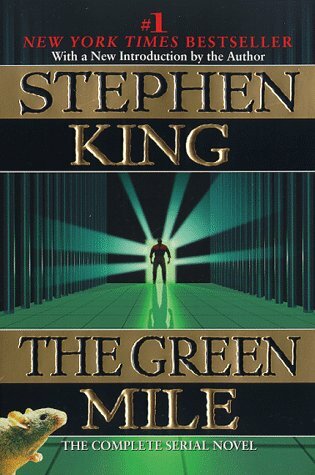 The Green Mile was nominated for a 1997 Bram Stoker Award.